Russian acts at the Sziget festival? Balalike it! 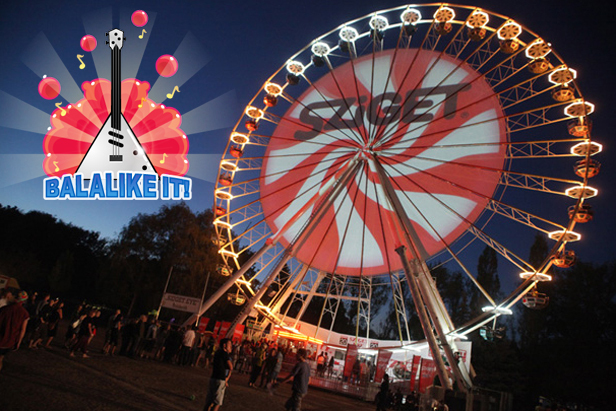 Sziget, Europe's largest music festival, held a competition for Russian musicians. This week saw the announcement of the winner. Here we present the winner, Moscow-based brass band 1/2 Orchestra, and four other acts who ran very close. The winner will perform on stage at the festival in Budapest on August 11. The competition featured 40 groups and ensembles, and voting took place online. From those chosen by the public, a jury selected just one. The unique sound of 1/2 Orchestra is achieved exclusively through brass and percussion instruments. But forever experimenting, live on stage the musicians use strange ethnic percussions, gizmos, and electronic wizardry. Members of the group Cactus describe their style as alternative bard music with a twist of rock 'n' roll, elements of jazz-blues Britpop, and echoes of insane glam in an indie style. Horja is a smooth and natural collaboration of genres — dream pop, folk, and electronic. The music of Pony Rush combines melodic guitar riffs, powerful vocals, dance rhythms, and dynamic bass lines. Silent Woo Goore reworks contemporary Udmurt music, combining a new melodic algorithm with traditional components of Udmurt folk songs.